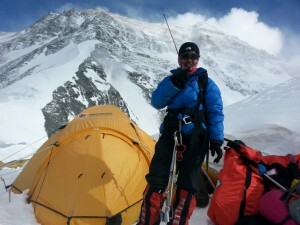 A 13-year-old became the youngest girl to climb to the top of Mount Everest. In May 2014, Malavath Purna proved to the world that someone from India’s lower cast system could succeed. The teen was chosen from a group of disadvantaged children for a government program to inspire young people. A 13-year-old boy had previously climbed the mountain back in 2010, but it was Purna who set the achievement for the girls. Mount Everest is the world’s highest mountain. It reaches more than 29, 000 feet in the air and is extremely dangerous to climb. Despite this, Purna refused to quit, even when an avalanche killed 16 people on the other side of the mountain. “My instructors told me I’d see dead bodies on the way to the summit. I knew every step was dangerous. I just carried on climbing,” Purna said, according to CBS.